ABOUT: Forty-five years after Operation Flood - that made India the world's largest milk producer - India continues to be on the lookout for the next breakthrough in agricultural produce and productivity. ABOUT: Forty-five years after Operation Flood - that made India the world's largest milk producer - India continues to be on the lookout for the next breakthrough in agricultural produce and productivity. As Indias population grows, it desperately needs the next big burst in productivity to feed the millions being adding to the population year after year. 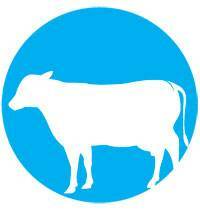 What's the roadmap to the next White Revolution? R.S. Sodhi, Managing Director, Gujarat Cooperative Milk Marketing Federation, suggests the way forward. India is the largest producer of milk. It is a matter of pride. I feel privileged to have closely witnessed a part of India's journey from being a milk-deficient nation to becoming its largest producer. It is an honour to be a witness to the revolution that started about 50 years ago with Operation Flood that was the basis of this achievement. While it is great to take pride in past achievements, one should not rest on one's laurels but keep looking ahead, anticipate, and prepare oneself to take challenges head-on. One of the greatest lessons my mentor, Dr. Verghese Kurien, gave me was this - "In every crisis, if you look carefully, you will spot an opportunity. My insistence is on finding and seizing that opportunity." Considering the dynamic environment we live in today, I find that the dairy industry is full of opportunities. It is a vital part of the global food system and plays a key role in sustainability of rural areas. The world is currently witnessing significant volatility in farm-gate prices. However, prices to Amul farmers have been rising. The prime reason is that our farmers own not only production but also processing and marketing of milk and milk products. Also, a significant part of their earning comes from value-added products rather than bulk sales. 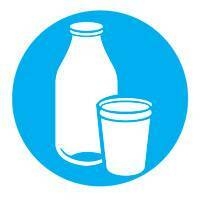 A rise in demand for milk and milk products is being seen worldwide and the industry is globalising. However, the question of how we can give impetus to the industry to continue reaping its economic benefits still remains. The dairy industry in India is unique. With six lakh villages housing about 90 crore people, dairying is not just a large economic activity but also an integral part of our social and cultural heritage. Its uniqueness lies in its unifying power, in the fact that no other industry touches lives of millions of farmers, of which 70 per cent are landless. Complementing this are Indian climatic conditions that support animal husbandry. Dairy, in effect, could become a great tool for equitable growth and income distribution. What remains is providing market access by offering stable and remunerative prices to farmers and encouraging this generations-old sustainable livelihood source. We have, over the years, come far from being an agrarian economy to become a more service sector-driven one, achieving accelerated gross domestic product growth. Every economy aspires to grow; growth, however, has a flip side - inflation. Further, if growth is heavily skewed towards the urban side, it magnifies the impact of inflation owing to the income gap. To keep this evil under check, we need balanced and inclusive growth. For inclusive growth, it is pertinent that our villages progress, and if villages are to progress, dairy, an integral part of the rural economy and livelihood, must also progress. The unemployment rate in India rose to 4.9 per cent in 2014 from 4.7 per cent in 2013, mainly on account of increase in joblessness in rural areas. While the unemployment rate dropped in urban areas to 5.5 per cent in 2014 from 5.7 per cent in the previous year, the unemployment rate in rural areas increased from 4.4 per cent to 4.7 per cent during the period. In this context, the Make in India initiative, which aims at job creation, should focus on rural India to ensure impact. Thus, Make in Rural India is the way to go. For this, what can be better than the dairy sector, a sector that touches the lives of millions of farmers twice every day? Apart from a well-conceived strategy for increasing productivity of milch animals through superior breeding, nutrition and health practices such as the National Dairy Plan, we need to learn from the best practices across the world. India is expected to see significant growth in milk production. However, with growing demand led by increasing income levels on the one hand and limited scope for increasing cattle population due to natural resource constrains on the other, the sector is likely to face newer challenges. Let us have a closer look at the outlook for the Indian dairy industry. 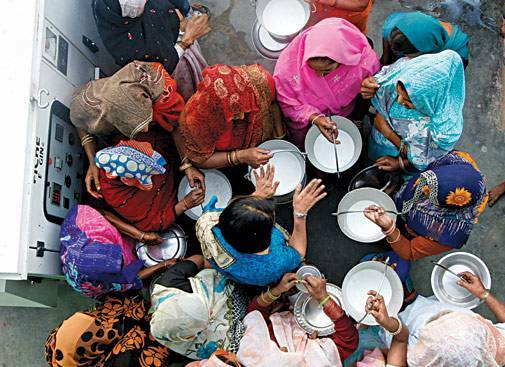 More mouths to feed than hands to produce implies need to increase productivity: Food still accounts for the highest share of monthly household expenditure in India at 31 per cent. Within food, milk and dairy products account for the highest share after cereals. The per capita milk availability in India has gone up from 126 gm per day in 1960 to 359 gm per day in 2015. This is despite our population rising by three times during the period. Global per-capita milk availability has actually declined by 9 per cent over the past 10 years. However, it is important to note that by 2025, India will beat China to become the most populous country in the world with 1.4 billion people. Further, by 2060, 56 per cent Indians will reside in urban areas and 44 per cent in rural areas. India is likely to have 143 cities with a population of more than one million by 2060. On the other hand, the number of villages will witness only a marginal increase, from 640,000 lakh in 2012 to just 675,000 lakh in 2060. This clearly indicates that India will face the problem of 'mouths to feed' growing faster than 'hands to produce'. This will require a continuous increase in milk production. Augmenting production through breeding and technological innovations would be the right way to deal with this crisis. The Indian model of milk production is characterised by low input-low output. Despite lack of water and gradually declining arable land, dairy farming is on the rise. This has been made possible by optimal integration of production unit (the cow), technologies and equipment, operator (the farmer) and production environment (the dairy farm). Apart from a well-conceived strategy for increasing productivity of milch animals through superior breeding, nutrition and health practices such as the National Dairy Plan, we need to learn from the best practices across the world. For instance, Israel's Super Cows that produce 12,000 litres milk a year are the result of advanced feed, technology and breeding practices. Thus, trusting capabilities of our farmers and integrating them with superior, even imported, technology, feed and fodder is the way ahead. Policy changes should precede structural changes to ensure innovation: Innovation would necessitate encouraging dairy entrepreneurs in cooperative as well as private sector. This would require policies that safeguard the interests of small players. It is important to note that the government should not lose sight of long-term goals for short-term gains. Free trade agreements, or FTAs, for instance, will allow EU government-subsidised products to be imported from Europe with little entry barriers. In the EU 2014/20 budget, 363 billion euros have been allocated for farm subsidies, which will make EU farm and dairy products ridiculously cheap compared to Indian products. We must also take lessons from China's FTAs with New Zealand and Australia. From an economic perspective, this agreement has essentially secured a greater share of growing Chinese market for the two nations. The FTAs have been a remarkable success for developed nations' dairy industries. Australian dairy exports to China, for example, have almost quadrupled between 2008 and 2012. In such circumstances, the so-called 'Free' Trade Agreement could well turn out to be our costliest trade agreement. We cannot compromise the economic and commercial rights of farmers and consumers to provide impetus to India's exports. Dr. Kurien faced a similar situation many years ago. It was path-breaking to think of monetising the dairy commodities received as grants from the EEC so that we do not retard our own capabilities. This idea led to the birth of Operation Flood whose outcomes are insurmountable. Though change is the only constant, it cannot be based solely on the profit motives of middlemen. Dr. Kurien's belief in entrepreneurship of farmers and the potential of Indian markets helped him in successfully building 200-plus people's institutions. The per capita milk availability in India has gone up from 120 gm per day in 1960 to 359 gm per day in 2015. This despite our population rising by three times during the period. However, he drove each of these institutions like businesses, combining professional management with technological expertise. The idea is to nurture dairy entrepreneurs through effective training of youth at the village level coupled with dedicated leadership and professional management of farmers' institutions. This will, in effect, instil efficiency in the system so that farmers are not forced to demand grants and external support for financing the inbuilt inefficiencies of the system. Opportunity in global trade: India is surrounded by countries and regions that are milk-deficient, such as the Middle East, South Asia and Southeast Asia. 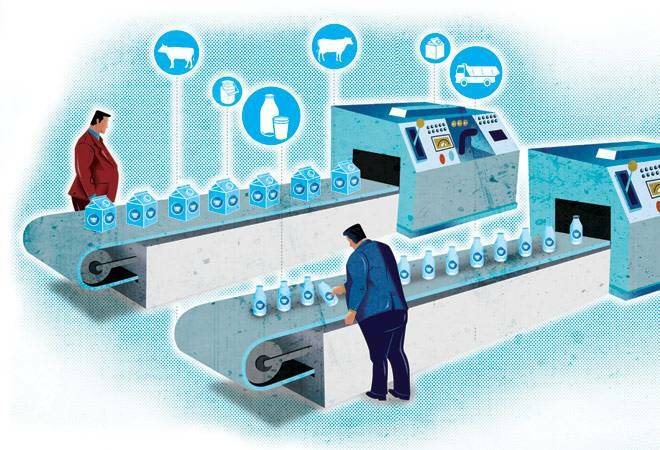 There is ample scope for export of value-added milk products to Bangladesh, China, Singapore, Thailand, Malaysia, Philippines, Japan, the UAE, Oman and other gulf countries, all of which are located close to India. At present, the population of South Asia alone is growing at 1.3 per cent a year; it is likely to be 2.2 billion by 2050. This presents an opportunity for India's dairy industry. 'Healthy practices', a pre-requisite for healthy dairying: Along with raising productivity of milch animals to cater to domestic as well as international demand, it is important that we work on further improving quality, both in terms of input as well as output. There is a strong need to take concrete steps towards educating the farmers. Almost every element in the environment contributes to the quality of milk, a commodity that comes from every corner of the country twice every day. Thus, agricultural practices, sanitation, quality of drinking water & fodder, type and quality of pipelines - all of these need to be aligned to the goal of healthy milk. It is interesting to note that Europe started adopting healthy agricultural and sanitation practices at the grassroots level in the 1970s and could implement its stringent quality norms only in the late 1990s. The so-called 'Free' Trade Agreement could well turn out to be our costliest trade agreement. We cannot compromise the economic and commercial rights of farmers and consumers to provide impetus to India's exports. Also, with weather uncertainties rising, it has become all the more important that our farmers display a high sense of hygiene and know-how of animal health and nutrition. Combined with availability of on-demand veterinary service and high-quality cattle feed, this is bound to yield significant positive results in enhancing our milk output. Looking beyond: It is important to understand the multiple dimensions of milk. The value of milk produced in the country was Rs 4,18,000 crore in 2014/15, making it one of the key commodities in India. More than that, milk is the answer to questions of economic self-sufficiency of the rural lot. The business provides employment to the landless and land owners alike and the income thus generated checks urban to rural migration. In addition, milk, being a complete nutrition, will play a key role in combating malnutrition and poverty. Thus, growth of the dairy sector in a setting of weak infrastructure and governance has given rise to certain challenges. To meet these, the sector requires renewed attention and investments from government and agricultural research and development community.